Hooray! Evelyn was absolutely thrilled to leave the hospital and jump in the car. All the way home we kind of marveled at how easy her breathing was. Her car seat has always been a problem because it was so tough to keep her head 'just so' - but no worries now! She just relaxed, looked out the window, and smiled all the way home. This afternoon at home was hectic - in part because our home equipment and nursing companies all had people here organizing things, dropping off tons of stuff, and bustling around to get thing settled. As soon I got one bag unpacked, another would arrive. :) We are completely exhausted, and were SO thankful for the fabulous lasagna Julie dropped off this evening. 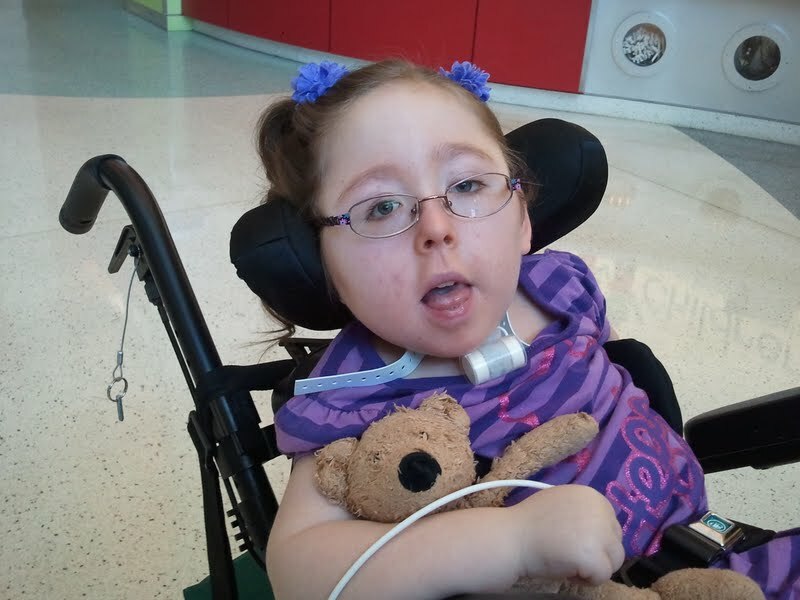 It is going to take a couple of weeks for the dust to settle - from a sleep, organization and new routines standpoint - but for whatever reason it feels in many ways like Evs has always had a trach. I guess that means we're pretty comfortable with it. :) Y'all, parts of our house look like a hospital - and it probably looks really intimidating from the outside looking in - but after a very short while it all becomes second nature. Thank you guys for following our hospital journey - for praying and sending good thoughts and supporting us in so many different ways. I hope to keep updating regularly; between Evelyn and Owen there should always be some good material to write about. For now though, it is bedtime!